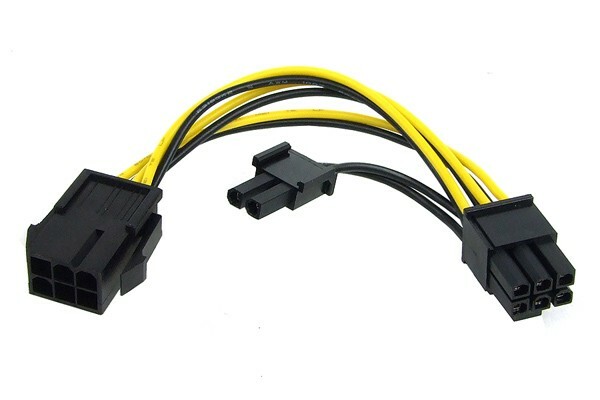 This cable extends or adapts a 6-Pin power connector for a graphics card to a 8-Pin connector. The current development on the graphics card market often calls for a 8-Pin connector. Your PSU is in perfect shape and plenty powerful but does not have 8-Pin connectors? Don't worry, with this adaptor the purchase of a new PSU is obsolete!